ARICID 20M belongs to a range of antibacterial products and contains 20% of 2-thiocyanomethylthiobenzothiazole. ARICID 20M carries out a wide microbicide action especially on moulds; for both long storing and unfavorable climatic conditions. ARICID 30 WK is an anti-mould product containing 30% of 2- thiocyanomethylthiobenzothiazole. ARICID 30 WK has a wide microbicide action in particular against moulds; it is recommended for long storing and unfavourable climatic conditions. From the toxicological and biological point of view ARICID 30 WK present low toxicity for the mankind and does not produce inhabiting effects on purification plants' biological beds. Indicative amount referred to pelt weight : 0.05%-0.1% diluted in Water 1:3 - 1:10 and added approximately 15 minutes after pickle Acid. indicative amount for wet blues referred to pelt weight : 0.1% - 0,15% diluted and added after the beginning of chrome tanning. ARICID D10 acts in a pH range between 6 and 10 and is Compatible with all the auxiliaries present in soaking and liming. ARICID D10 is an excellent odourless preserving agent with Strong bactericide action that, spreading on leather evenly, assures Long preservation on green or on any kind of leather in soaking. Green leathers : - use 0,3% ARICID D10 calculated on the fresh weight for 3 days preservation. Indicative amount referred to pelt weight : 0.1% - 0.2% diluted 1:2- 1:5 to be added slowly with the vegetable tanning agent. Indicative amount calculated on shaved weight: 0,05% - 0.1% blended with the fatliquor. 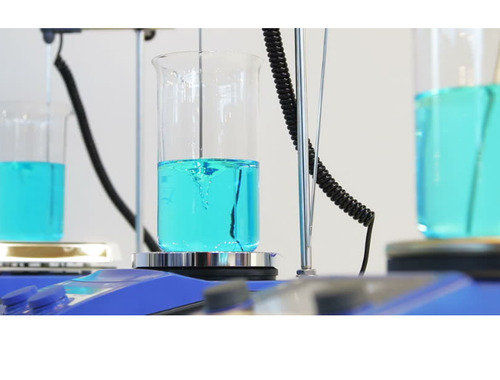 ARICID 30 WK dosing also depends on climatic conditions, Wet blue storing length and on the presence of substances that Increase leather tendency to form moulds (ammonium salts, Surfactants, fatliquors, organic masking agents, etc). The amounts indicated above are indcative and can change from case to case. Some practical tests will be useful to establish the best does for Every single case. The high absorbing power of ARIOL 234 greatly increases the Penetration of the water into the fibers that happens quickly and Uniformly, guaranteeing also the elimination of the sebaceous Substances. ARIOL 234 is used in the soaking of dry, salted or green salted Skins. ARIOL 234, used in the liming, avoids and excessive swelling of the Derma, easing the penetration of the lime and the sodium sulphide. Its use during this working state, allows to obtain a skin with a finer Grain and a limited formation of wrinkles, improving greatly the yield. ARIOL 234 is used with excellent results as degreasing agent to eliminate grease and as dispersing agent during dyeing. You can use from 0,3% to 1% of ARIOL 234 according to the Field of application. Appearance : yellow liquid at medium high Viscosity. 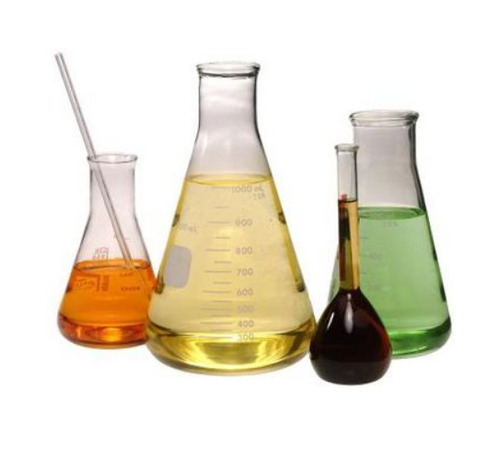 ARIOL 342 is a sulfonate surfactant with absorbing and degreasing Power. Using ARIOL 342 to accelerate soaking which reduce the tension Between the water and the skin fibres, emulsifying at the same time Greases and oils present. ARIOL 342 used in liming, improves the penetration and the Distribution of the products commonly used for such working. Its high cleaning power eases the removal in the rinse of all Impurities present in the untreated skin. It is used from 0.5% to 1% in soaking. It is used from 0.4% to 0.9% in liming. ARITAN AS is a synthetic replacement tanning agent for the retainage of chrome leather and vegetable tanned leathers. ARITAN AS is a spray dried powder. It has a strong bleaching effect when use on its own on chrome leathers. It has slightly buffering action with a medium filling effect . It also prevents sludge formation in tan and helps produce a brighter, lighter and cleaner leather. Full chrome and retan upper leathers. ARITAN AMR is a replacement syntan and is very effective as retanning agent, well suited for all types of leathers. Phenol condensate based and its derivatives. It is spray dried powder ideally suited For retanning of chrome tanned leather specially For pastel shades. Gives suppleness, Fullness and smooth grain surface. Produces level dyeing without altering the intensity of the dye shade. Can be used with other syntans to obtain particular property in the leather. ARITAN AMR is suitable for wide range of application in processing of full grain upper. Basic chromium sulphate and synthetic tanning agent. APPEARANCE : A pale green colour powder readily soluble in water. Used for the production of leathers with mellowness and supple grain without altering the chrome leather character. Retains the fineness and tightness of grain and prepares the leather for level dyeing. Has complex forming and buffering properties. Recommended for neutralization and retanning of chrome and combination tanned leathers. It is non-astringent and also useful for fixation following retanning dyeing and fatliquoring. Used alone gives a very light coloured soft leather. Promotes softness, dyeability and buffing when used to retan suedes. Used for retanning of E.I. Tanned leathers and chromes tanned leathers. A pre-tanning agent, it effects rapid penetration of vegetable tannis. Self tannage for linning from sides. Retannage of chrome and e.i. Leather.